A lot of people may enjoy edibles more than smoking as they don’t enjoy the harsh experience of inhaling cannabis. When smoking, the effects are felt instantly and may be very strong. Edibles however will have a longer lasting effect, and if consumed in the proper dosage it will be a very enjoyable and relaxing experience. Herbal Dispatch Going Legal – Good or Bad for Consumers? 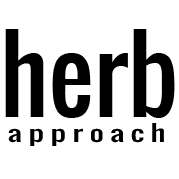 In other words, Herbal Dispatch is minimizing its product selection and consumer base at the same time – a decision that seems far from being business savvy.